Permaculture, an eco-design system developed during the 1970s, is sometimes known for the paradoxical statements of its founders, such as “Lazy gardening,” or “The problem is the solution.” To the uninitiated, these types of statements may only add confusion to an already enigmatic word: permaculture. Personally, I have come to define permaculture this way: an eco-design system that seeks to recognize and maximize beneficial relationships while minimizing or eliminating harmful relationships. In this column, I’ll provide some examples that illustrate this definition, as well as one that demystifies the paradoxes above. In an agricultural/horticultural application, maximizing beneficial relationships can include: companion planting; attracting beneficial insects; integrating animals such as ducks (snail and slug control), chickens (grass and insect control), and in larger systems sheep or small cows (periodic grazing between rows in an orchard or vineyard). 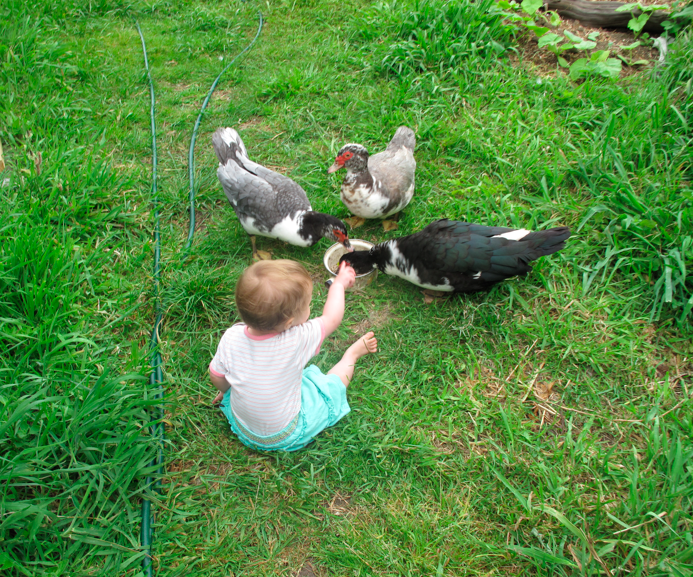 Our muscovies are snail vacuums. A home can be designed – or in our case re-designed – for its relationship to the sun. For example, we added glazing to the northeast and northwest sides of our villa to increase the amount of free warmth provided by winter sun, while removing windows from the southeast and southwest sides to reduce heat loss. Additionally, by removing the southwest window, we limited the overheating of our home during the summer caused by late afternoon sun. 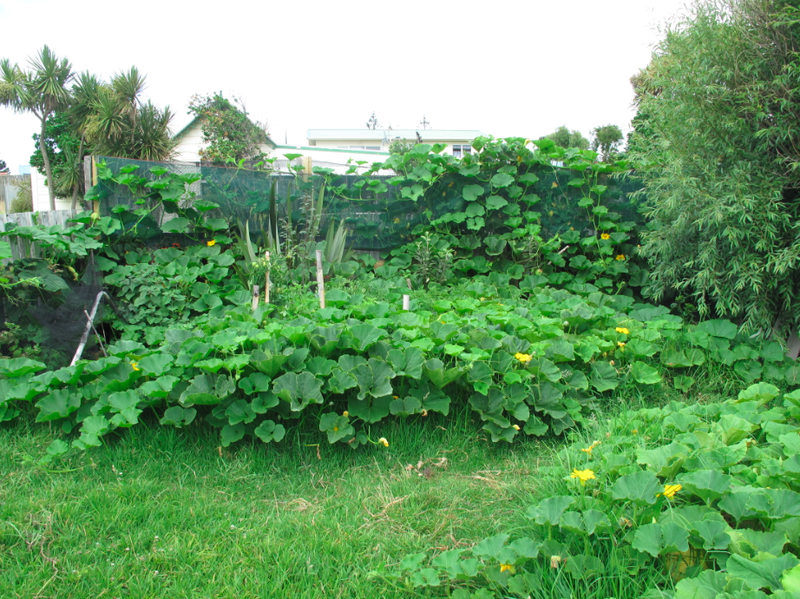 From an organizational perspective, our tiny non-profit – The ECO School – seeks out mutually beneficial relationships with businesses, organizations and individuals that share our kaupapa of healthy homes, healthy food, healthy people, healthy planet. For example, we have excellent working relationships with the Sisters of Saint Joseph, Community Education Service, Central2Health, TreeLife NZ, the New Zealand Maters Games, YMCA Central, and the Wanganui Chronicle, Midweek, and River City Press, among others. On the other hand, despite our best efforts, we have failed to develop relationships with other organizations with whom we thought we could work successfully. And in the rare case, we have cut off relations with those entities with whom we felt we were only giving and not receiving. 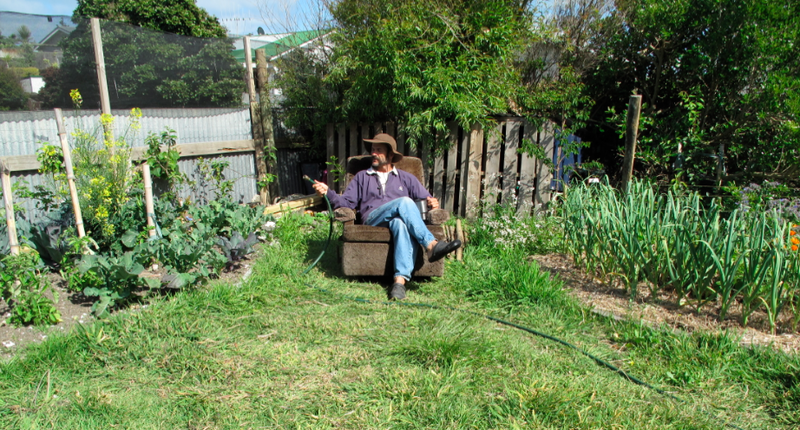 And now to address the paradoxes of lazy gardening and problems as solutions. 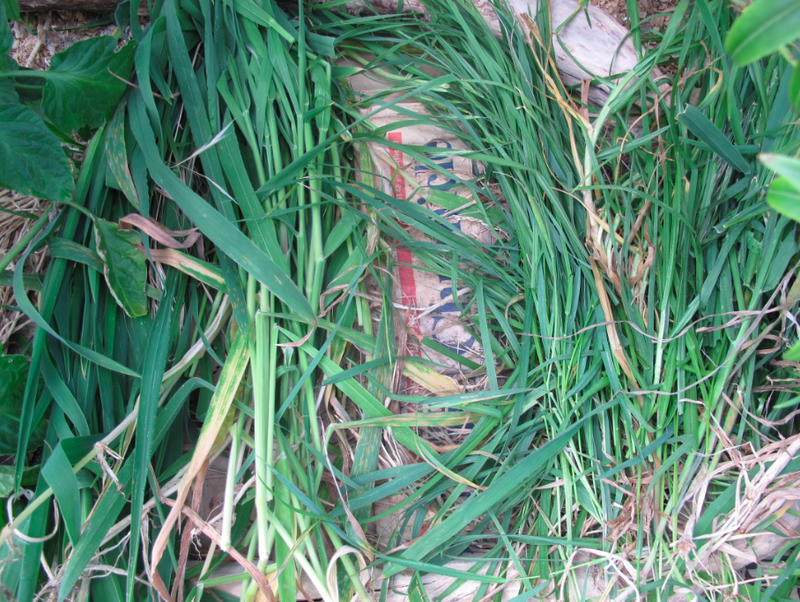 Like many residents of our fair city, we have an abundance of kikuyu and couch grass on our section. These grasses, among others I cannot identify, compete with our shallow rooted fruit trees for nutrients and water, and encroach into our garden beds. The eco-thrifty ‘solution’ to these ‘problems’ that I have adopted involves a firm grip and a stack of newspapers. When I find an area needing attention, I simply pull out as much grass as I can comfortably handle, lay down the newspaper, and lay the grass back on top. The grass I have pulled acts as a mulch that keeps the newspaper from blowing away while blocking sunlight to the shoots that emerge from the roots below. The ‘problem’ grass has become a ‘solution’ mulch, and I have not had to move my body any more than a simple twisting motion while kneeling. I have not had to go to the shop to buy a bale of straw, nor have I had to involve a wheelbarrow. Problem sorted, with plenty of time to go for a surf. Interested in learning more about this type of eco-design thinking? Check out the upcoming events. 24th November, 3-4 pm: Food Forests. Diverse, productive, low-maintenance ‘ecosystems’ of edible trees, vines, bushes and fowl. Donation.